The year was 2003. I wanted an iPod, but I ended up with this travesty instead. Back then, Apple’s blockbuster device was just starting to catch on, and I desperately needed one. The only problem was they were too expensive. So my brother and I both ordered $50 MP3 players, figuring they would do just as well in a pinch. They didn’t, and even today the memory still fills me with disappointment and regret. 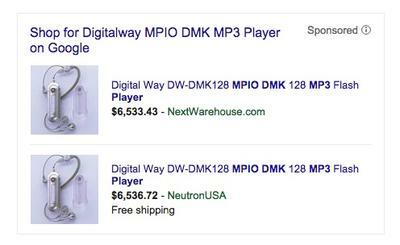 The Digitalway MPIO DMK MP3 Player was one of many poorly conceived devices pushed out to compete with Apple’s iPod in the early 2000s. My main problem was the design. Man this thing was ugly. Looking back, the image on Amazon’s website should have given that much away. 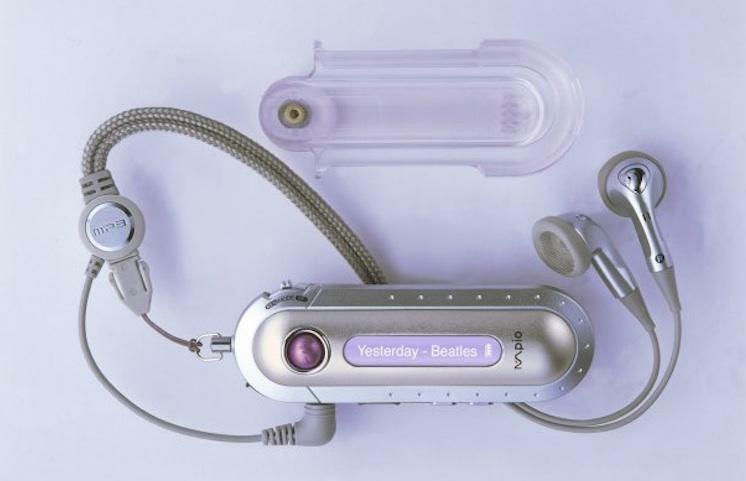 It looks more like an alien robot than an MP3 player, but somehow the actual device was even uglier. See how the headphone cable wraps behind the device in the picture above? That’s because it was somehow hiding an extra bit of unsightly bulk. I must have blocked out the memory of actually trying to make this MP3 player work, but a quick scan through old Amazon comments suggests it didn’t work very well. Honestly, I don’t remember using this thing even once. I was probably too embarrassed to take it out in public. I even checked in with my brother, who had slightly fonder memories of the device. “The interface switching between songs was fun with the little switch,” he said, “but I remember they could only hold like 10 songs.” That sounds about right, though Amazon’s now defunct product page for the device claims it could hold six CDs worth of music. Unfortunately, I have no idea where this device ended up 11 years later. I’d love to dig it out of the closet and hold it up next to my current smartphone for comparison. The fact that it’s listed for thousands of dollars online today also has me scratching my head, though I seriously doubt anyone is actually interested in buying one. Still, losing the Digitalway MPIO DMK MP3 Player may turn out to be my biggest tech regret of all.